1. 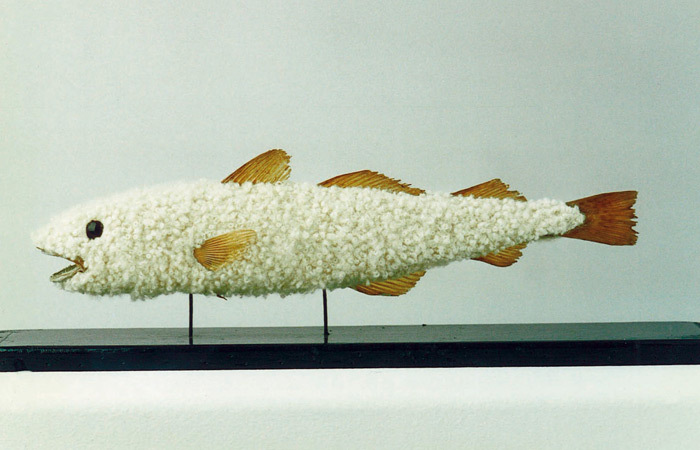 Codfish with lamb’s wool. 2. Falcon with Mongolian wild dogs fur. 3. Elk with unidentified feathers. 4. 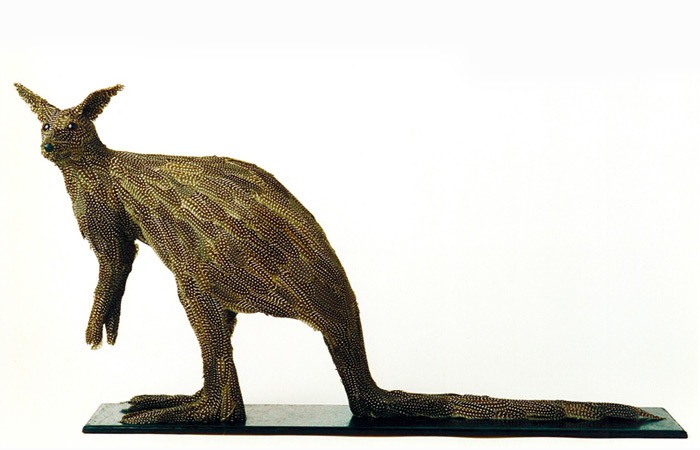 Kangaroo with guinea fowl feathers. Does a kangaroo have feathers? Can a fish have fur? Can things be different from what you know is what this series of sculptures seem to ask? 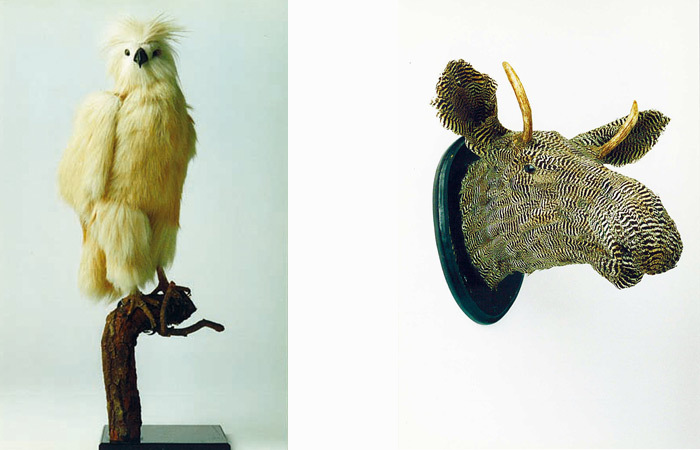 The immaculate taxidermist animals are convincingly realistic and therefore seem to suggest another truth or possibility of what is real.